If you’ve been thinking about a move to Williams Lake, we would love to tell you more about the community’s plans for fostering sustainable developments and how these home trends can help you. Learn more about sustainable development and how you can become a part of this forward-thinking community by looking for great Williams Lake real estate. The sustainable development meeting was hosted by the BC Council for International Cooperation (BCCIC), the province’s group dedicated to fostering compliance with rules and regulations adopted by the United Nations (UN). The main purpose of the meeting was to discuss sustainable development with the business and real estate leaders of the Williams Lake community to bring the town in line with the UN’s latest sustainable development rules. Most of the meeting was spent discussing how businesses and community leaders in Williams Lake can work together to make plans for sustainable development, as well as how to foster civic engagement in the upcoming election. Some of Williams Lake’s most important business and community leaders were involved in the sustainable development meeting, and will hopefully will be able to implement sustainable practices throughout the Williams Lake community. A few of the participants of the meeting included the Williams Lake Downtown Business Improvement Association, the Education Council of Canadians and the Potato House Society. Additionally, two groups representing the interest of the First Nations were also in attendance— the Cariboo-Chilcotin Beetle Action Coalition Society and the Northern Shuswap Tribal Council joint resources committee. How Does Sustainable Development Benefit Home Buyers? 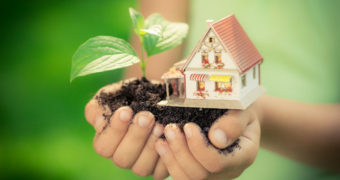 As a homebuyer, you may be interested in exactly how sustainable development practices benefit you, which make it important to learn a little bit more about what sustainable development entails. For starters, because sustainable development is focused primarily on promoting green living, a home build per sustainable development practices is extremely energy efficient, saving you a great deal on energy bills. Secondly, sustainable homes are usually built with renewable materials, which can sometimes result in a lower home price. Finally, sustainable environment helps to protect our natural resources for future generations. If you want to become a part of a community committed to sustainable development and the long-term health of the environment, you should consider a move to Williams Lake. Finding a community that is committed to sustainable development and promoting a high level of civic involvement is simple when you choose a great home in Williams Lake. If you want to find the best Williams Lake real estate that there is, then you need to partner with the Phone Moore team. We can help you find a great Williams Lake home built with sustainable development principles. Get in touch with us today and we’ll start planning for move to this conscious, inclusive community.